This is “The Big Picture”, chapter 11 from the book Beginning Organizational Change (v. 1.0). For details on it (including licensing), click here. In this concluding chapter, we take a look at the big picture that surrounds organizational capacity for change. 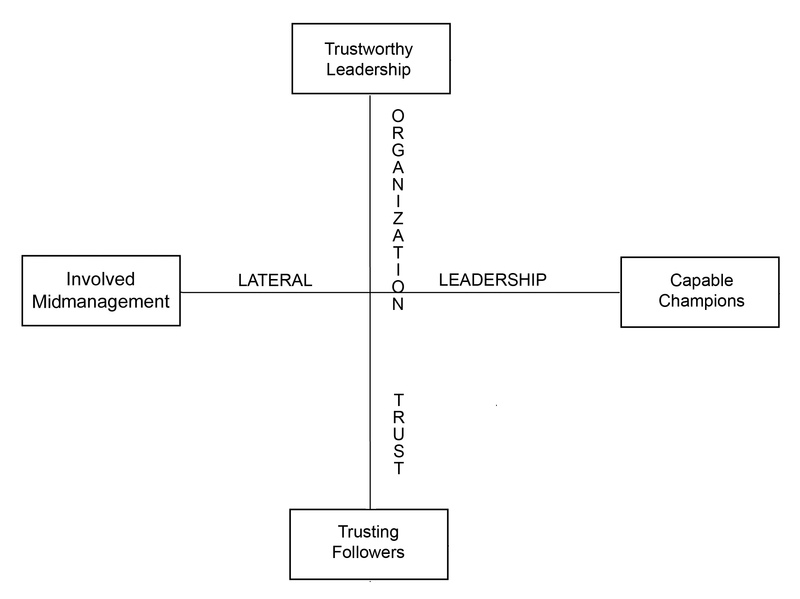 Specifically, this entails (a) looking at the centrality of organizations in our lives, (b) distilling the eight dimensions of organizational capacity for change into four organizational attributes, and (c) providing some ideas and tools for assessing your own organization. Organizations in the 20th century were built for stability and predictability. Organizations in the 21st century need to be both stable and change capable, what some refer to as “dynamically stable”.Abrahamson (2000). As a result, many organizations today tend to be overmanaged and underled as we transition to a global, information-based economy. This book provides insights, research, practical suggestions, and an approach to systematically assess your organization’s capacity for change using a valid and reliable survey instrument. Both management and leadership are essential skills required for 21st century organizations. This book provides some insights that can enable your organization to survive and prosper in the new millennium.